mOAuth currently requires CUPS 2.2 or later for its HTTPS support. Copyright © 2017-2019 by Michael R Sweet. mOAuth is licensed under the Apache License Version 2.0 with an exception to allow linking against GPL2/LGPL2 software (like older versions of CUPS). See the files “LICENSE” and “NOTICE” for more information. 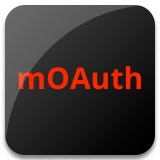 moauthd is the OAuth 2.0 authorization and resource server program. When run with no arguments, it binds to port 9nnn where ‘nnn’ is the bottom three digits of your user ID and is accessible on all addresses associated with your system’s hostname. Log messages are written to the standard error file by default. If no configuration file is specified, moauthd will look for a “moauthd.conf” file in “/etc” or “/usr/local/etc”. Application: Specifies a client ID and redirect URI pair to allow when authorizing. AuthService: Specifies a PAM authorization service to use. The default is “login”. IntrospectGroup: Specifies the group used for authenticating access to the token introspection endpoint. The default is no group/authentication. LogFile: Specifies the file for log messages. The filename can be “stderr” to send messages to the standard error file, “syslog” to send messages to the syslog daemon, or “none” to disable logging. LogLevel: Specifies the logging level - “error”, “info”, or “debug”. The default level is “error” so that only errors are logged. MaxGrantLife: Specifies the maximum life of grants in seconds (“42”), minutes (“42m”), hours (“42h”), days (“42d”), or weeks (“42w”). The default is five minutes. MaxTokenLife: Specifies the maximum life of issued tokens in seconds (“42”), minutes (“42m”), hours (“42h”), days (“42d”), or weeks (“42w”). The default is one week. Option: Specifies a server option to enable. Currently only “BasicAuth” is supported, which allows access to resources using HTTP Basic authentication in addition to HTTP Bearer tokens. RegisterGroup: Specifies the group used for authenticating access to the dynamic client registration endpoint. The default is no group/ authentication. Resource: Specifies a remotely accessible file or directory resource. See below for examples and details. ServerName: Specifies the host name and (optionally) port number to bind to, separated by a colon. For example, “oauth.example.com:9443” specifies a host name of “oauth.example.com” and a port number of 9443. The default host name is the configured host name of the system. The default port number is 9nnn where ‘nnn’ is the bottom three digits of your user ID. TestPassword: Specifies a test password to use for all accounts, rather than using PAM to authenticate the supplied username and password. then the log level will actually be set to “debug”. The scope is “public” for resources that require no authentication, “private” for resources that can only be accessed by the resource owner or group (as defined by the local path permissions), or “shared” for resources that can be accessed by any valid user. The /remote/path is the URL path that matches the resource, while the /local/path is the local path corresponding to it. Resources are matched using the longest matching remote path. Directory resources use the “index.md” or “index.html” file for viewing, while Markdown resources are automatically converted to HTML.